Nina Dobrev will pull double duty on season two of The Vampire Diaries. The character of Katherine won't be going anywhere. It's safe to say that Damon Salvatore was the MVP of the first season of The Vampire Diaries. 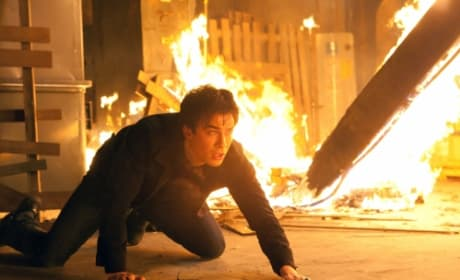 Ian Somerhalder just played this role so darn well. Sorry, John Gilbert. But you crossed the wrong Elena lookalike. Katherine ended this character's life on the season one finale. Tyler and Bonnie are decked out in Founder's Day costumes in this shot. It's courtesy of The Vampire Diaries' first season finale. Caroline and Matt are simply adorable. 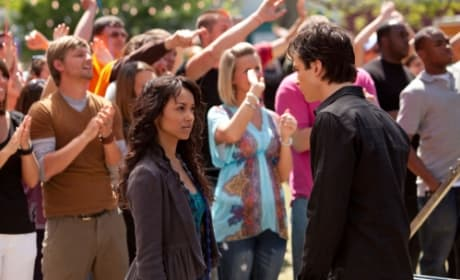 But will both survive the events of The Vampire Diaries season one finale? Bonnie is a huge liar! That's what viewers think of this character heading into the season finale of The Vampire Diaries at least. 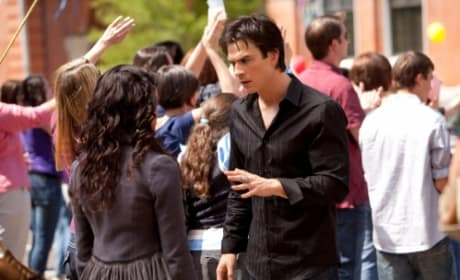 This is a scene from the first season finale of The Vampire Diaries. The episode is titled "Founder's Day." 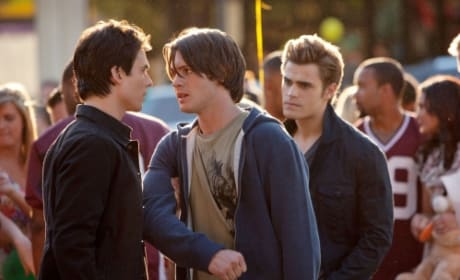 Jeremy has a beef with... pretty much everyone on The Vampire Diaries. 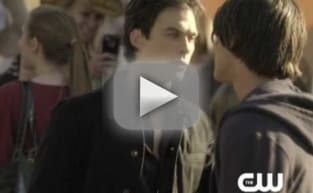 He confronts Damon in this "Founder's Day" scene. Will Stefan tell Elena about her father? 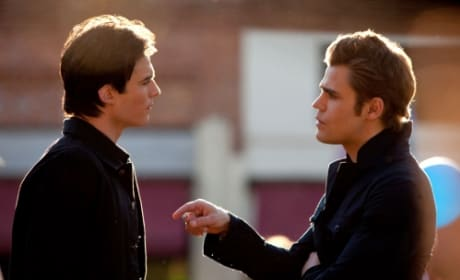 He and Damon argue about that in this scene from the first season finale.